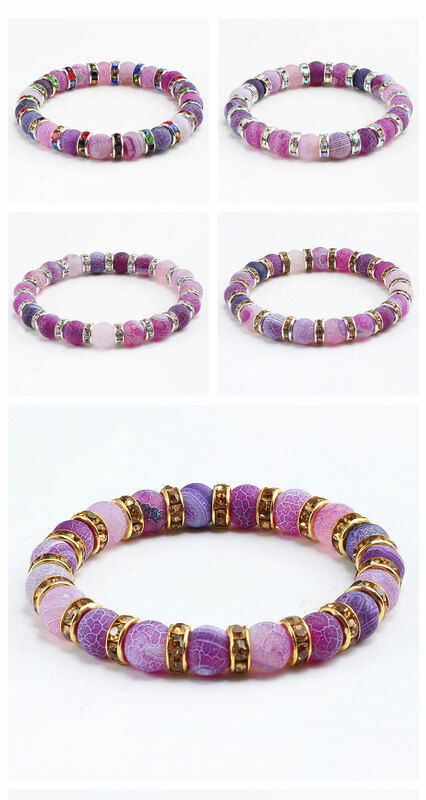 1Pcs Classic Colorful Purple Love Crystal Beaded Chakra Yoga Bracelet Female Natural Stone Beads Bracelets. 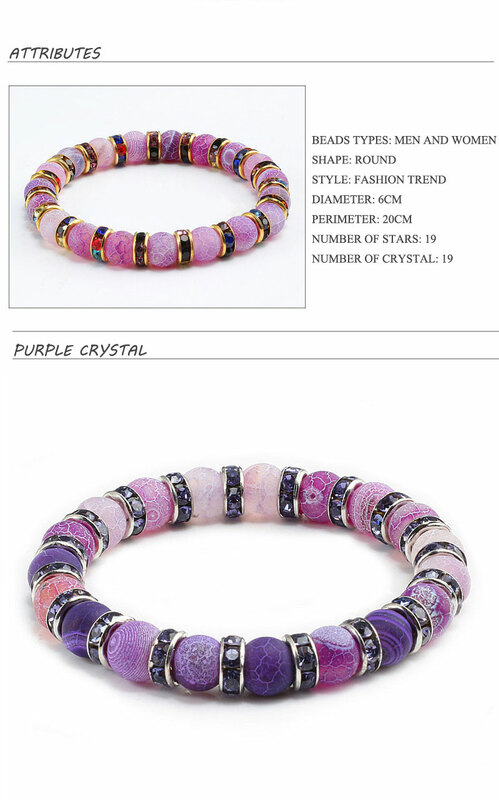 Bracelet Type: 19 White Beads with 19 Crystal. Color: Bling Water / White / Blue / Green / Black / Red / Multicolor / Gun Black / Yellow / Purple. 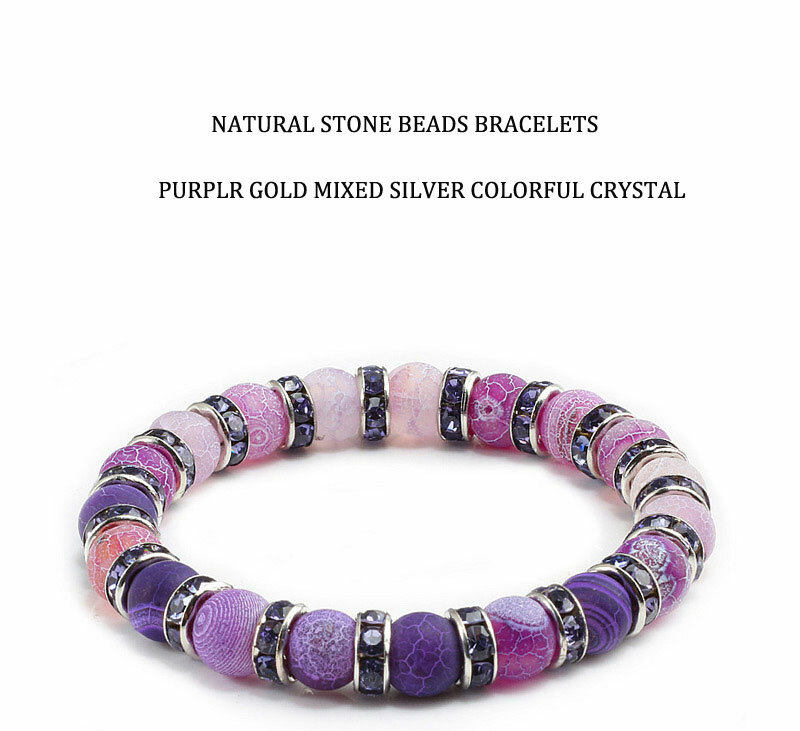 Item Type: Silver Crystal White Natural Stone Beads Bracelets. Style: Fashion / Charm / Casual / Trendy / Classic / Ethnic / Bling. Gift for : Mother, Father, Bother, Sisters ,Girlfriend, Boyfriend, Wife, Husband,Yourself. Fashion Luxury appearance, it’s perfect for wedding, party, holiday, birthday, gift, travel, buddha prayer and other dairy life.